Das Living Asia Resort ist ein sehr schön angelegtes Hotel. Alle Zimmer sind großzügig und besitzen alle ein offenes Bad, so dass man unter freiem Himmel Duschen kann. Es verfügt über einen Aussenpool und Whirlpools. umfasst 4 Behandlungsräume sowie Räume für Paare. Es werden verschiedene Wellnessleistungen angeboten, wie z.B. sowie Aromatherapie und Ayurvedische Behandlungen. 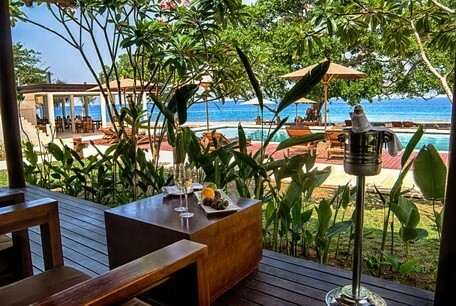 Das Living Asia befindet sich direkt am Strand in Senggigi. 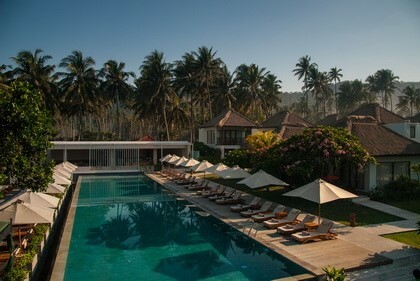 Das Living Asia Resort & Spa bietet Ihnen vielfältige Möglichkeiten für einen unvergesslichen Urlaub. Genießen Sie die warmen Sonnenstrahlen am Strand oder verwöhnen Sie Körper, Geist und Seele im Wellnessbereich. In den Zimmern stehen Plasmafernseher mit Satellitenempfang zur Verfügung. Zur Zimmerausstattung gehören außerdem ein kostenloser WLAN-Internetzugang, Klimaanlagen und separate Sitzecken. Hidden between Lombok’s most colorful garden and a spacious coconut field, the Living Asia Garden View Room gives you the perfect sense of staying on a tropical island. With orchids, birds of paradise and frangipani trees embracing you, the perfume of the exotic flowers will enhance your senses with aroma and fragrance. The Living Asia Garden View Rooms are situated in two-storey buildings, each with its own terrace or balcony. All rooms have their own bathroom with outdoor shower with a fantastic view of the stars and the endless sky, king size or twin bed, air conditioning, flat screen TV, minibar, hairdryer, safety deposit box, free Wi-Fi, coffee/tea making facilities, desk and telephone. 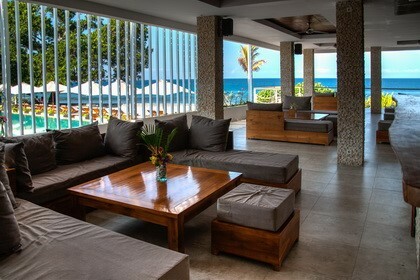 The Living Asia Ocean View Room enchants all guests staying in it. 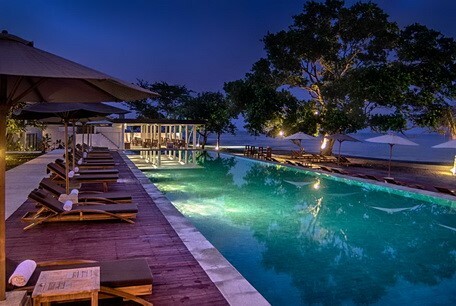 Enjoy the fantastic view on the ocean, smell the salty breeze, listen to the play of the waves and taste the salt of the Lombok Straits in front of you. 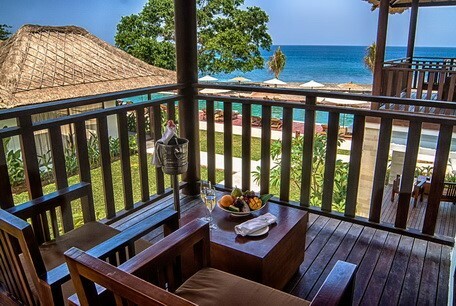 The Living Asia Ocean View Rooms are situated in two-storey buildings, each with its own terrace or balcony where is the only way to access the view to the ocean. All rooms have their own bathroom with outdoor shower with a fantastic view of the stars and the endless sky, king size bed, air conditioning, flat screen TV, minibar, hairdryer, safety deposit box, free Wi-Fi, coffee/tea making facilities, desk and telephone. 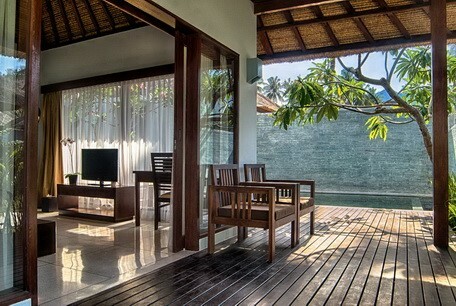 The Living Asia Garden View Suite is a very spacious exclusive suite and lies in the middle of our beautiful garden. With an extra bathtub and sofa it is perfect for families. The size and comfortableness of the room gives you an idea of how the sound of freedom sounds. Each Living Asia Garden Suite has its own terrace. All suitses have their own bathroom with outdoor shower and bathtub with a fantastic view of the stars and the endless sky, king size bed, air conditioning, flat screen TV, minibar, hairdryer, safety deposit box, free Wi-Fi, coffee/tea making facilities, desk, sofa and telephone. 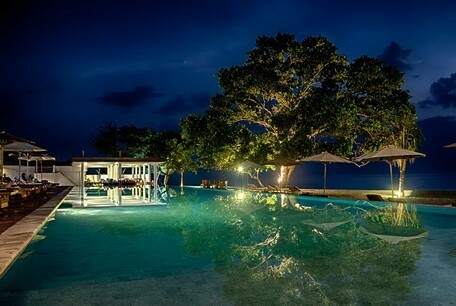 The Living Asia Deluxe Ocean View Villa directly faces our large infinity pool and the ocean beyond. 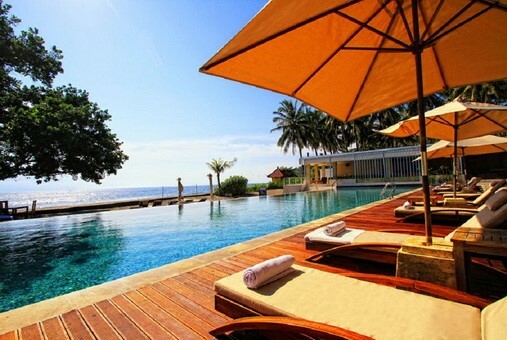 Take advantage of being in the pool for sun bathing and taking a plunge. Enjoy the sunset behind Bali’s volcano Agung directly from your own villa. 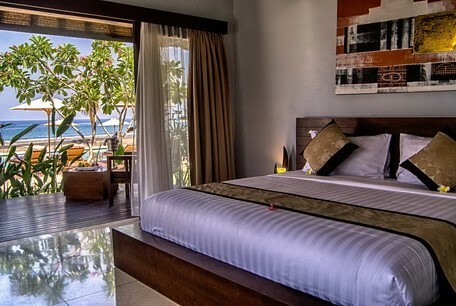 That room is the perfect place for sun worshippers and those who seek to relax in a perfect environment. 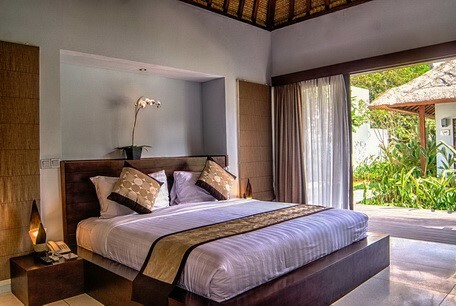 The Living Asia Private Pool Villa takes care of the privacy and comfort you desire on your perfect holiday. 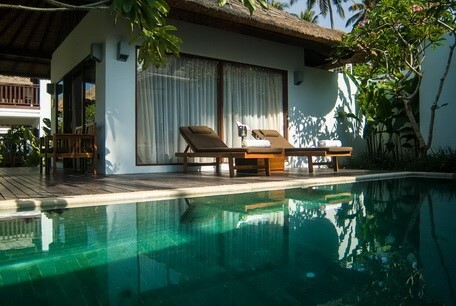 Sheltered from the surroundings and with its own private pool, this villa is perfect for honeymooners and all guests who seek for tranquillity and luxury. The Living Asia honeymoon package includes private pool villa, spa treatment, romantic dinner, honeymoon cake and honeymoon decoration. 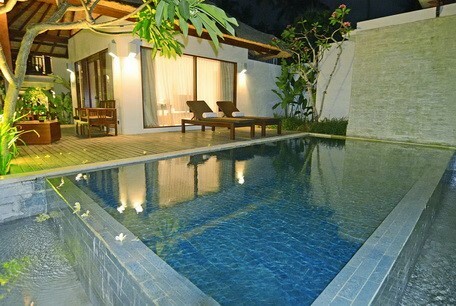 Each Living Asia Private Pool Villa has its own terrace and a private pool sheltered from the surroundings. All rooms have their own bathroom with outdoor shower with a fantastic view of the stars and the endless sky, king size bed, air conditioning, flat screen TV, minibar, hairdryer, safety deposit box, free Wi-Fi, coffee/tea making facilities, desk and telephone.